This Private Agreement is voluntarily made by the suveran sentient man or woman who is a voluntary Participant on http://www.personaldevelopmentinsights.com, a service of the Positivity for Better Living Foundation, a Private Foundation, not-for-profit, non-government-organisation. You, the reader and Participant, “declare my commitment to my own personal spiritual development and to my learning and personal growth, in seeking to live a life I love in my Divine Truth, nature and purpose, always at Peace with my fellow man, being totally responsible for MySelf and my actions and doing what I Truly Love to do. I acknowledge and will respect the privacy of the other Participants. I agree not to copy or forward any documents from the website without the prior written consent of the PBL Foundation. I understand that this website is provided for informational purposes only and that I am fully responsible for myself, my actions and will check with a health professional if necessary. Your use of this site, personaldevelopmentinsights.com, is governed by the terms, conditions, and disclaimer set forth on this page. If you do not agree to these terms, conditions, and disclaimer you may not use this website for any reason and you must leave immediately. We reserve the right to modify these terms, conditions and disclaimer at any time and without providing notice to the user. You are responsible for periodically viewing this page to check for updates. This page contains the entire agreement. No other statements or claims made either orally or in writing anywhere else on this web site, personaldevelopmentinsights.com will take precedence over this page. Personaldevelopmentinsights.com does not engage directly or indirectly in diagnosing, dispensing medical advice, or prescribing the use of any product, therapy or service as a treatment for disease or sickness whether physical or mental. We offer health information in an effort to help you work with the health professional of your choice in your mutual goal of building all aspects of health. This site and the services offered by Personaldevelopmentinsights.com are provided for information purposes only. The information presented is the opinion of the authors and others and is not represented as fact, nor is either it or the services offered intended to replace professional traditional medical and other treatments offered by any doctor, psychotherapist, psychoanalyst, psychiatrist, psychologist, master of family child counseling, or master of social work. Links on this site may lead to servers maintained by individuals or organizations other than Personaldevelopmentinsights.com. Personaldevelopmentinsights.com makes no representation or warranty regarding the accuracy, timeliness, suitability or any other aspect of the information located on such servers and neither monitors nor endorses such servers or content. The information on this site is intended to educate. It is not intended to provide medical advice or other health-related services or to replace the advice of a trained mental health professional. For medical advice and treatment, consult your physician or health care professional. You are encouraged to use discretion while browsing the Internet on searches initiated at Personaldevelopmentinsights.com. Personaldevelopmentinsights.com links may lead unintentionally to sites containing information that some people may find inappropriate or offensive. Its LINKS may also lead to sites which contain inaccurate information, false or misleading advertising, or information which violates copyright, libel or defamation laws. Personaldevelopmentinsights.com makes no representations concerning any effort to review all of and has no liability regarding the content of sites listed. Reference herein to any specific products, processes, or services by trade name, trademark, manufacturer, or otherwise, does not necessarily constitute or imply endorsement, recommendation, or favor. The views and opinions of authors expressed herein do not necessarily state or reflect those of the site. This site is provided by Personaldevelopmentinsights.com on an “as is” basis. The owner makes no representations or warranties of any kind, express or implied, as to the operation of the site or the information, content, materials, or products included or sold or described on this site to the full extent permissible by applicable law, its owner disclaim all warranties, express or implied, including, but not limited to, implied warranties of merchantability and fitness for a particular purpose. The owner of Personaldevelopmentinsights.com does not represent or warrant that the information accessible via this site is accurate, complete, or current, nor free of viruses, contamination or destructive features. You agree that the sole and exclusive maximum liability to Personaldevelopmentinsights.com arising from any product sold on the site or through related channels shall be the price of the product ordered, or the cost of service provided. Personaldevelopmentinsights.com will not be liable for any damages of any kind arising from the use of this site, including, but not limited to direct, indirect, incidental, punitive and sequential damages. Personaldevelopmentinsights.com and affiliates, including their respective partners, principals, employees, agents and representatives make no representations or warranties about the accuracy, timeliness suitability or any other aspect of this site or any content on or accessed through this site for any purpose, all of which is provided “as is ”and “as available” without any warranty of any kind. Personaldevelopmentinsights.com hereby disclaim all warranties and obligations with regard to the site or any content on or accessed through this site, including but not limited to all implied warranties and obligations of merchantability, fitness for a particular purpose, title and non-infringement. In no event shall Personaldevelopmentinsights.com affiliates, partners, principles, employees, agents and representatives be liable for any direct, indirect, incidental, special, exemplary, consequential or other damages whatsoever, (including but not limited to liability for loss of use, data or profits), without regard to the form of any action including but not limited to contract, negligence or other tortuous actions, arising out of or in connection with this site, any content or accessed through this site, or any copying, display or other use thereof. Personaldevelopmentinsights.com nor any of its directors, officers, employees or other representatives will be liable for damages arising out of or in connection with the use of this site. This is a comprehensive limitation of liability that applies to all damages of any kind, including (without limitation) compensatory, direct, indirect or consequential damages, loss of data, income or profit, loss of or damage to property and claims of third parties. This Website is not intended as a substitute for the medical recommendations of physicians or other health-care providers. Rather, it is intended to offer information to help the reader work with physicians and health professionals in a mutual quest for optimum well-being. Because some services, products or techniques are alternative approaches, the statements about the products & services presented in this site have not been evaluated by any government bodies. Personaldevelopmentinsights.com does not engage directly or indirectly in diagnosing, dispensing medical advice, or prescribing the use of any product, therapy or service as a treatment for disease or sickness whether physical or mental. We offer health information in an effort to help you work with the health professional of your choice in your mutual goal of building health. One should always consult a primary care physician/health practitioner of choice when considering health issues, especially when undergoing treatment for an existing condition. Pregnant individuals should also consult a physician before beginning any program. The contents of this website have not been evaluated nor approved by any government or official body. No person should rely on the contents of any of the information, products or services on this website or advice, products or services provided by Personaldevelopmentinsights.com or Carmen Wyld Coaching without first obtaining advice from a qualified professional person. No person should act on any information, products or services provided before they have formed their own opinion through investigation and research as to the suitability of the information, products or services for their circumstances. While every attempt has been made to verify the information on this web site and the product being sold, or services being rendered, neither the product owners , distributors, agents or publishers assume any responsibility for any error, inaccuracies, and or omissions or assume any responsibility or liability whatsoever on behalf of any purchaser or reader of these materials. Each individuals success will be determined by his or her desire, dedication, effort and motivation to improve their lives. There is no guarantee or duplicate results stated here. The information shown on the website or expressed during sessions is intended to be general information with respect to life and health issues. Information is offered in good faith – you do not have to use this information. Nothing in the content materials shall be considered legal, financial, or actuarial advice. 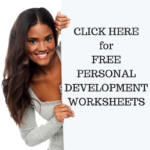 The information provided throughout Personaldevelopmentinsights.com is timely and authoritative to the best of our knowledge as of the date it was published. However, research and information about professional development, counselling, psychology and life coaching is always evolving. Please consult with your own physician or health care practitioner regarding the suggestions and recommendations made at this website. Nothing offered on or offline is intended to diagnose, cure or prevent any disease or disorder of any kind. It is your sole responsibility to check and verify the information and credentials and their effects on you. The information contained within Personaldevelopmentinsights.com or within a session of coaching is not a substitute for professional advice such as from a Medical Doctor, Psychiatrist, counselor or therapist of any kind. The information provided by Personaldevelopmentinsights.com or Carmen Wyld Coaching does not constitute legal or professional advice nor is it intended to be. You should always consult a physician or other suitable health professional before following any alternative solution to any physical or mental health problem, or before taking any products or following any health regimen. You must be 18 years of age or have parental consent before using this website, or any of our affiliates’ products or services. Personaldevelopmentinsights.com makes the following disclosures: Personaldevelopmentinsights.com will provide services in accordance with the education, training and experience we have. We offer only a perspective for your consideration. In the course of our work the conversation may range over a wide range of topics. You hereby acknowledge that anything and everything discussed is merely a perspective for you to consider in conducting your affairs, and any decisions regarding your life are your sole responsibility. Should you wish to seek professional advice in this regard you should do so with an appropriately licensed, competent, qualified professional advisor. · Notify your coach about a need to cancel a booked coaching session 48+ hours prior – No charge. · Failure to notify your coach about a need to cancel a booked coaching session within 24 hours prior – 50% charge (of the pre-arranged session cost). · Failure to failure to show up for your booked coaching session – 100% charge (of the pre-arranged session cost). By using this website or any of our coaching services that may have been delivered either face to face, via individual or group environments, you agree to the exclusions and limitations of liability stated in this Legal Statement and accept them as reasonable. Do not use this website or our coaching services if you do not agree that they are reasonable. It is expressly understood that it is solely your responsibility to confirm the effectiveness or otherwise of any changes of professional development, and that you must do so in safety and with appropriate monitoring of your physician or other licensed healthcare professional. This site and its content are made available only to provide information about professional development and improving your life. You are responsible for compliance with all applicable laws and regulations. Any decisions you make, and the consequences thereof are your own. Under no circumstances can you hold Personaldevelopmentinsights.com or Carmen Wyld Coaching liable for any actions that you take. You agree not to hold Personaldevelopmentinsights.com or Carmen Wyld Coaching liable, or any employees of Personaldevelopmentinsights.com or Carmen Wyld Coaching liable, liable for any loss or cost incurred by you, or any person related or associated with you, as a result of materials or techniques, or coaching, offered by Personaldevelopmentinsights.com or Carmen Wyld Coaching liable. Personaldevelopmentinsights.com or Carmen Wyld Coaching liable reserves the right to refuse service for any reason. Results are not guaranteed. Personaldevelopmentinsights.com or Carmen Wyld Coaching liable holds no responsibility for the actions, choices, or decisions taken or made by the client. User is solely responsible for compliance with any copyright, trademark, or other proprietary right, which may apply, to any material of any nature found on the site. All materials on Personaldevelopmentinsights.com, including, without limitation, text, software, names, logos, trademarks, service marks, trade names, images, photos, illustrations, audio clips, video clips, and music are copyrighted intellectual property. All usage rights are owned and controlled by Personaldevelopmentinsights.com unless stated otherwise. You, the visitor, may download Online Materials for non-commercial, personal use only provided you: 1) retain all copyright, trademark and propriety notices, 2) you make no modifications to the materials, 3) you do not use the materials in a manner that suggests an association with any of our products, services, events or brands, and 4) you do not download quantities of materials to a database, server, or personal computer for reuse for commercial purposes or on a website of any nature. You may not copy, reproduce, republish, upload, post, transmit or distribute Online Materials in any way or for any other purpose unless you get our written permission first. Neither may you add, delete, distort or misrepresent any content on the Personaldevelopmentinsights.com web site. Any attempts to modify any Online Material, or to defeat or circumvent our security features are prohibited.